It’s that time of year again: the time when everyone who writes about games feels compelled to catalogue their experiences into top ten lists and award some lucky contestant the meaningless title of Game of the Year. It’s a fun way to collect our thoughts, reflect on how the medium advanced (or didn’t advance) since the last time around, and, most importantly, argue endlessly about why everyone else’s list is wrong. 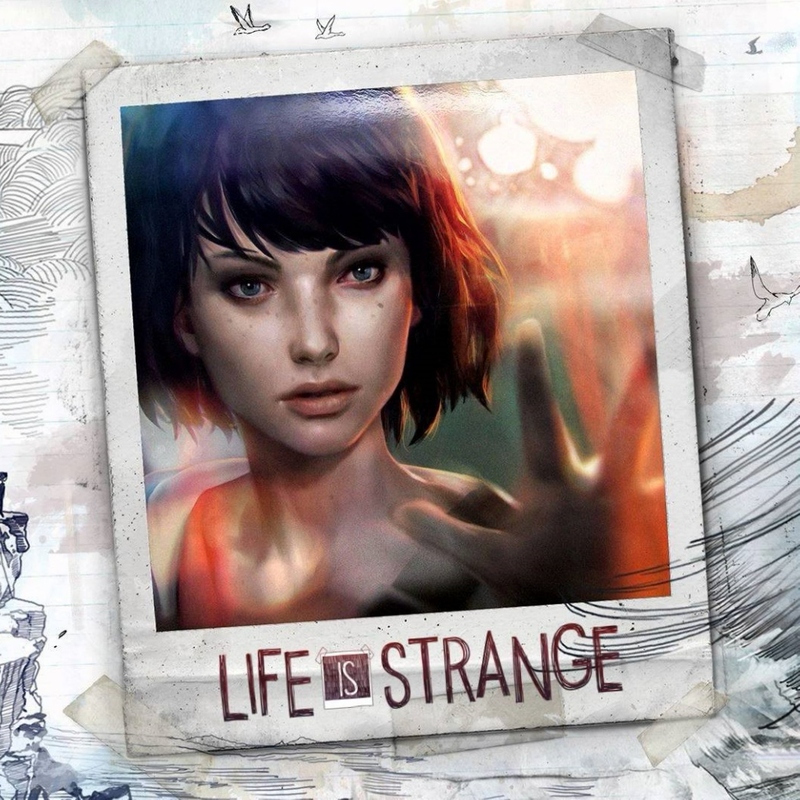 So without further ado, here’s the #8 title on my personal countdown: Dontnod’s Life Is Strange. Reloading is a mechanic so old and so ubiquitous in PC gaming that we rarely think of it as a mechanic except when we are reminded of its absence, as many of us were with our first Souls games or the roguelike resurgence. In a medium traditionally defined by fantasy fulfillment and superhuman protagonists, reloading - and, by extension, the “savescumming” it incentivizes - is perhaps the greatest gaming superpower of all. Who hasn’t ever wanted to take back a phrase, undo a mistake, or use present knowledge to improve our past? I would guess a majority of us have daydreamed about it at least once in the past 24 hours. 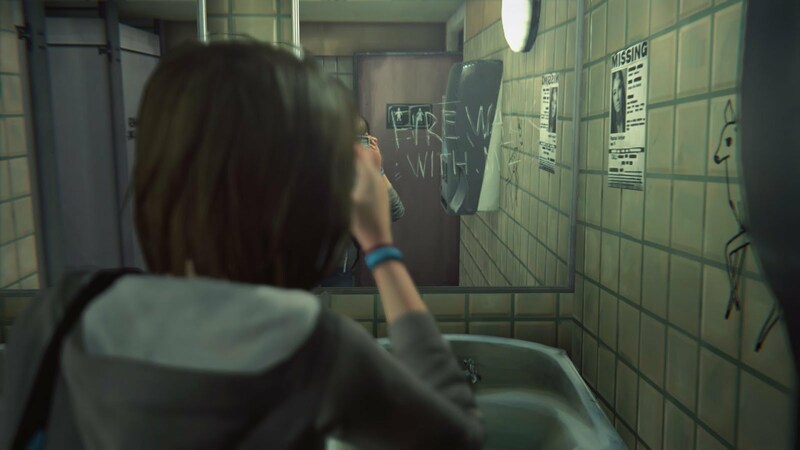 Life Is Strange obsesses over reflection, expressed in part by its own self-awareness of its indebtedness to stories like Twin Peaks, Donnie Darko, and Blade Runner. Life Is Strange takes that daydream and transforms it into not only its central mechanic but the MacGuffin on which its entire plot rides. 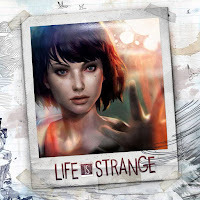 Max Caulfield,* a shy 18-year-old who’s returned to her small Oregon hometown on a photography scholarship to a prestigious art school, wakes up from a daydream of a (super? )natural disaster in class to find she’s developed the ability to control time and space, at least in a limited sphere around her. Max quickly does what any of us would do and uses her power to replay embarrassing moments, upstage her personal Regina Georgean nemesis, and impress her teacher crush. Max’s interventions quickly take a turn for the critical, however, when a drug-addled trust fund brat shoots her childhood best friend Chloe before her eyes. Max instinctively rewinds time to prevent the gunshot and thereby sets off a chain of events that rekindle her relationship with Chloe and plunge them both into a bizarre and possibly otherworldly conspiracy behind the peaceful facade of Arcadia Bay, Oregon. In a year dominated by memorable characters and human moments, rebellious punk rocker Chloe might be the most memorable and human of all. In many games this protracted introduction would all have taken place in cutscenes, but like the Telltale adventure games Life Is Strange places these moments in the player’s hands and allows them to shape Max’s interactions with her classmates and town. Unlike a Telltale game, however, time presents no pressure; Max has the ability to reflect on the consequences of her actions and freely invites the player to undo their decisions and explore alternative possibilities. Often you may wind up electing the same path all over again, but there is something hugely satisfying and validating about being able to test immediate outcomes and choose the best, or at least “least worst,” of all possible worlds. 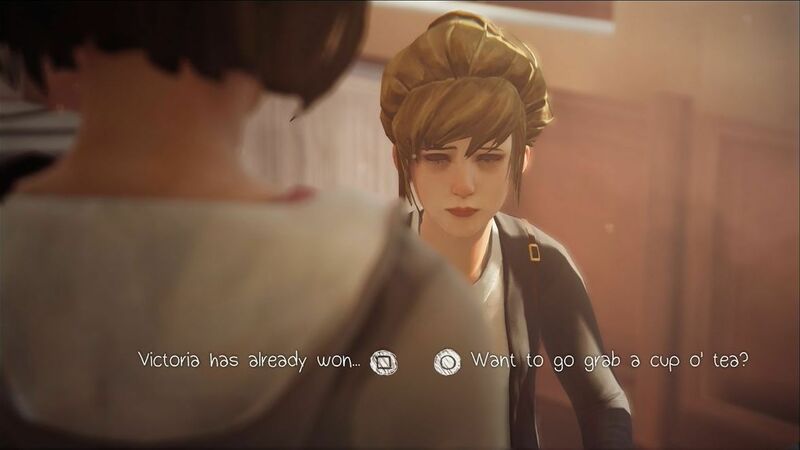 Playfully aware of its dependence on and twist of the Telltale branching consequence formula, an early Life Is Strange sequence allows Max to intervene with a dispute in such a way that prompts an angry character to lash out, “You’re part of the problem, missy - I will REMEMBER this conversation.” Which, of course, he won’t, unless the player decides otherwise. 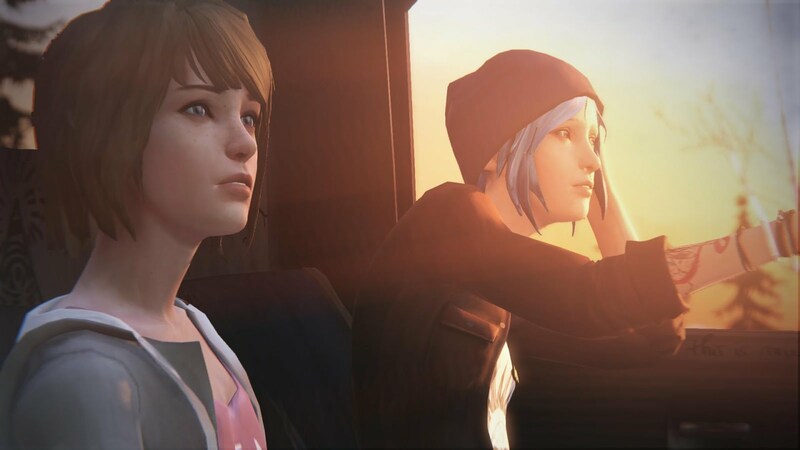 It may look like a “Press X to comfort” formula, but developing Max’s relationships in Life Is Strange takes a lot more time and effort than you might expect from this genre. Occasionally Life Is Strange gets too cute with this formula and goes overboard attempting to present two options as equally desirable or undesirable, nagging the player with Max’s self-persecutory introspection and abuse from her friends even when she has every reason to be confident she made the right decision. Sometimes it jumps the gun completely and chastises the player for decisions they were never even presented with if they missed a particular moment or character while exploring. But more often than not the game allows Max to learn and grow in wholly believable ways from her time-turning experiences, forcing her into early maturity as she wrestles with questions presented by her immense power and responsibility that expand well beyond playful schoolground pranks to choices of life, death, and existence itself. Photography is a central motif of the game, as is personal reflection. In some ways Life Is Strange is a game about selfies, and the ways in which they do or don’t reflect and project our identities. 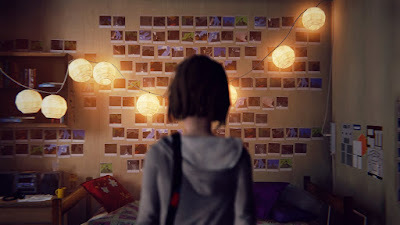 These moments let Life Is Strange shine, not through the mechanical weight of Max’s decisions but in their effect on her as a person and on the people around her. With a few jarring exceptions, the cast and writing do an admirable job imbuing Arcadia Bay with a level of humanity and psychological realism that was until recently almost unheard of in video games - especially not ones involving superpowers. Life Is Strange is far from perfect - at times the core mechanic itself collapses under some weak design decisions, particularly in the last and unfortunately weakest of its five chapters - but at its best it reflects emotional truth so rich it arguably elevates the genre. Like its much less reverent contemporary Tales from the Borderlands, Life Is Strange could go toe-to-toe with award-winning television serials and more than hold its own from a directorial perspective, even as it centers the player in a narrative that could only be communicated through gaming. And what could be more a more appropriate way to signal the medium’s coming of age than a game whose narrative is the most literal coming of age story of all? * Can we as a species covenant never again to name a teenage protagonist after any kind of reference to Catcher in the Rye - oblique, half-assed, or otherwise?